Spend two weeks in Rwanda on this 14 Days Discovering Rwanda Tour that takes you to explore Rwanda Wildlife in Akagera National Park and to track mountain gorillas in Volcanoes National Park. On arrival at Kigali International Airport in Rwanda, you will be received by one of our tour guide who will transfer you to the hotel. Overnight in Kigali Hotel. Start historical-minded exploration of Kigali city with visits to landmarks from colonial, post-independence, genocide and post-genocide times i.e. Kigali Genocide memorial site where over 259,000 genocide victims were put to rest in mass graves, Kimironko Local Market, Belgian camp where they killed the 10 Belgian UN soldiers who were protecting the moderate prime minister before the start of genocide etc. In the morning after the breakfast, head to Muhanga to Join a locals at their hillside, working, feasting, creating and laughing by participating in a day of life of artisans, imigongo ( cow dung art experience), traditional cooking , Candle Dipping and Hive Making. After we head to Butare and visit the Nyanza Loyal palace en route to Butare. After the breakfast we go to the National Museum, introduction to Rwanda’s kingdoms, discovery of colonial architecture in the afternoon enjoy traditional dancers from the museum , visit the Catholic church in Butare. Early morning after the breakfast heads to the Nyungwe National Park, by arriving have a walk on the canopy walk. From there we head to the hotel for relaxing around this impenetrable forest. 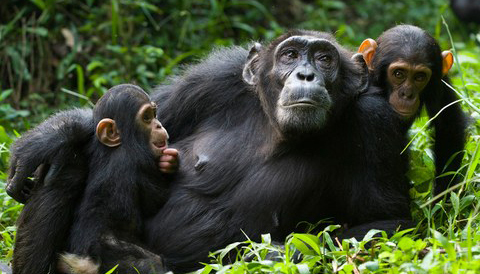 This day is dedicated to trek Chimpanzee and later head to Kibuye along the Kivu Lake; you will have a fantastic view of the country of a thousand hills. Check in at Bethanie hotel. In the afternoon, enjoy a boat ride on Lake Kivu to go visit Napoleon and Amahoro island for short hikes that will result in discovering the rare Angola fruit bats, birds, the beauty and history of the island. Discover the historical Congo-Nile trail en route to Gisenyi or Rubavu. You explore the beauty and unique sites of the trail of which include experiencing coffee and tea tours, local livelihoods, fishing with local fishermen using traditional boats. It will be an educational revealing day with tours to women who live with HIV/AIDS, former prostitutes, widows of genocide, street kids etc. This morning meet with your respective park rangers who takes you to the Buhanga Eco Park, this has been a sacred forest where the Rwandese Kings performed initiation ceremonies; today it is a testimonial to past societies that conducted such rituals. There is an opportunity here to go on a trail walk through the park and see where these rituals took place. When you reach one of the ritual sites in the park, you are confronted with a small ditch that is surrounded by a flowery thicket and small lava stones. This is where the kings’ assistants, the Abiru, pick some herbs and add to spring water to make a ritual bath for the king’s coronation. After we will visit the red rocks for home stay. Early this morning meet with your respective park rangers, who will take you to see the rare and Albertine rift endemic golden monkeys. Visit the twin lakes in the afternoon. In the morning, after the breakfast we will embark on a transfer to Akagera National Park. Arriving there you will relax at your hotel. Early in the morning after the breakfast we will we go for the game drive and in the afternoon have a boat ride on Lake Ihema that will reward you with views of a large number of hippos, huge Nile crocodiles and a variety of bird species. Early morning, after breakfast heads for search the big 5 plus the 12 species of antelopes including the biggest antelopes such as the eland cape and roan antelopes; your favorite ungulate, the topi, some of the 525 bird species including 4 Albertine rift endemics, reptiles, amphibians, plants, magnificent landscapes, historical sites; a place with the highest concentration of birds per square kilometer in any national park of Africa and hundreds of hippos etc. After a morning breakfast, embark on a transfer to Kigali, by arrival have lunch and in the afternoon have a city visit for souvenirs shopping. End of the 14 Days Discovering Rwanda Tour. All Accommodation in 3 twins and one single , Full Board. Items of a personal nature i.e., laundry, alcoholic and non-alcoholic beverages, etc.